This month has been WILD to say the least! ;) I cannot believe we’re not only more than half way through June but officially half-way through the year! How did that happen?!? 2017 has blessed us so much already! After having such a trying year in 2016, I can hardly believe how amazing 2017 has been! Here’s a quick low down on what’s been going on throughout the month of May! We’re officially homeowners! It felt completely surreal to FINALLY type these words on the blog, but WE BOUGHT A HOUSE! We’re talking nearly 3 years of house hunting (we have this video to prove it)!!! I didn’t know if I would ever see the light at the end of the tunnel. Trying to find something from the architect we were specifically looking for was like hunting for a needle in a haystack…but then it happened! ☺️ I put together this blog post with as many juicy details as I could possibly think of to give you the scoop (how we found it, our source of income to buy it, why closing day was one of the craziest days of my life…)! Pinch me! Pinch me! Pinch me! Our Editor flew out and surprised me! Our Operations Director + Andy coordinated a HUGE Mother’s Day surprise for me. Molly flew out from Washington to Sacramento and completely surprised me! For those of you who don’t know – Molly and I met off Twitter 6 years ago. She is our longest BFFF team member (an antique), and in that time she has become one of my best friends! She’s going to be worth something like those old Beanie Babies from the 90s! Just kidding! This is her 3rd trip to Sacramento (she flew out in 2012 for our BFFF party @ West Elm and in 2014 for our exclusive party at Tiny Prints & Shutterfly’s Headquarters in San Jose)!! So thankful for the internet and the friendships I’ve made through this blog. P.S. We may have shopped too much! ;) So fun!!! Charlie is done with Kindergarten! It feels absolutely surreal how fast Kindergarten flew by. I have to admit, I had been apprehensive about where he would go to elementary school since I was pregnant. I like to have a plan for everything and don’t do well with uncertainty. ;) Sacramento has so many schools, and the options are endless. I went to so many presentations, talked to parents, and learned as much info about all of our schools as possible. I am so relieved I was able to get him into a school we all love. I joke around and say, I don’t like his school, I LOVE his school. Charlie feels the same way! And now that we’re all set in stone, I cannot believe Kindergarten has come to an end. Can’t believe he will be going into FIRST grade this fall. 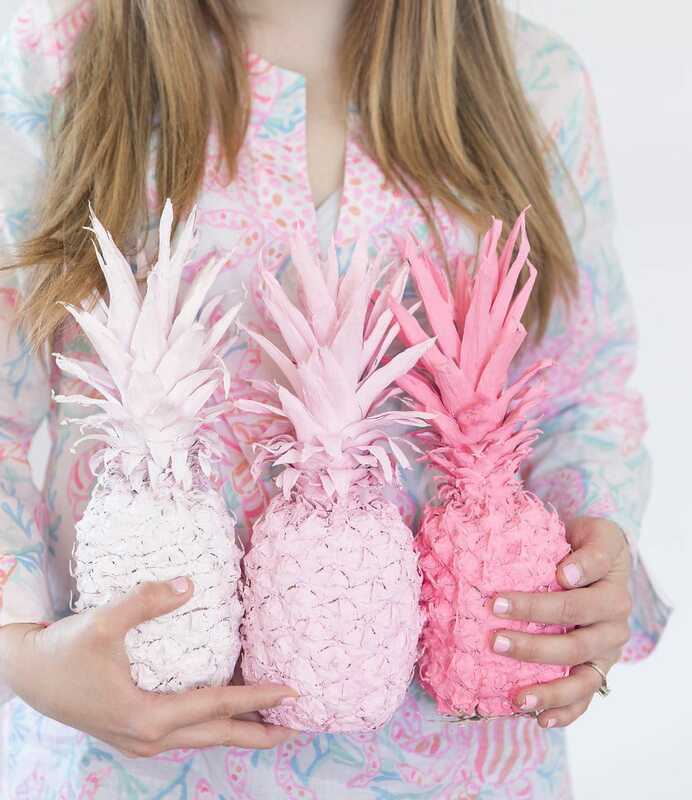 According to Instagram, you guys loved the Pastel Pineapples most this month! With 1350 “likes” and 278 “comments,” this was our highest engaged post for the month. I am noticing a pattern with you guys – every time we post a spray painted pineapple project, the crowd goes wild! ;) Thanks so much for taking the time to like and comment on our posts. I promise I read every single comment. Sometimes working on the internet can feel isolating, so the interaction is so appreciated! My fave blog posts this month: There are SO many as the brand is moving in such an incredible direction – and so fast! If I had to pick my top 4 fave blog posts this month, it would be: 1. My Mother’s Day Picnic with my mom (because it basically captures a snapshot look at one of my favorite childhood memories with my mom. Plus, it’s also proof that I broke away from work and kids and did something fun one-on-one with my mom)! 2. 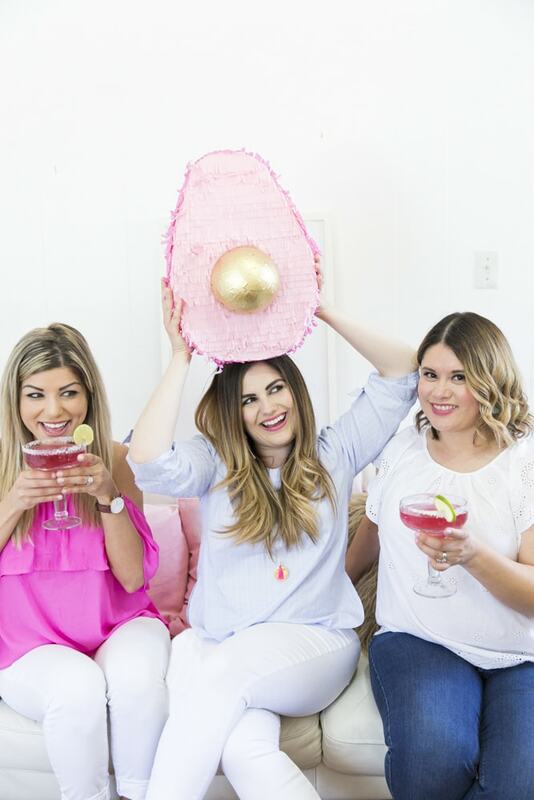 Pink & Gold Avocado Piñata (because everyone totally needs one of those – right?!) 3. The cutest DIY Heart Robe! If this doesn’t embody the BFFF brand, I don’t know what does – just kidding! ;) Plus, I love any excuse to encourage our friends to take a break and spoil themselves – more in the post! 4. This Pink & Gold Cactus Cake! You won’t even believe what I used to make the gold “cactus pricks” on this cake. We had a fun opportunity to partner with one of my favorite brands since childhood to create the pricks. Quick trip to Angel’s Camp: My in-laws have a timeshare and planned a quick family trip to Angel’s Camp for us! Andy and 2 out of 3 of his brothers came up. We went to the carnival, watched bull riding, and took a hike! I’ve never gone on a real hike before, and I am also afraid of heights. I am pretty boring, right?! Well, I broke out of my shell and did it! I even went into a cave! Yes, I fell in water 3 times…and I was so afraid there were snakes swimming in the water. LOL! Simplifying my life: Last year I felt like the re-brand, becoming a mom, and just life in general took me by storm…The more I talk to people, the more I realize that everyone goes through this. I have to tell you, this year I feel like I have this whole balance thing down so much better. Because it was such a challenge for me last year, I plan on writing a blog post soon sharing how I really got a grip on things and what steps I took. More on that coming to the blog sh, but I wanted to share a sneak peek! Okay, that’s all for now guys! In the meantime, Andy and I are working on home renovations and all kinds of BFFF stuff! I am also mapping out a “before” post for the house soon! Can’t wait to share more with you! P.S. Stay tuned for more fun content coming your way. We have so many amazing shoots we just did with Jenn Bartell in the queue that you’re going to LOVE! P.S.S. Charlie’s 7th birthday is coming up in just a matter of weeks! We’re super excited to have started the planning process. Stay tuned for more! Love the pineapples!! Also love the cupcakes!! !